Our spouses are often our proverbial "islands in a storm"; in this image, those words are brought to life. 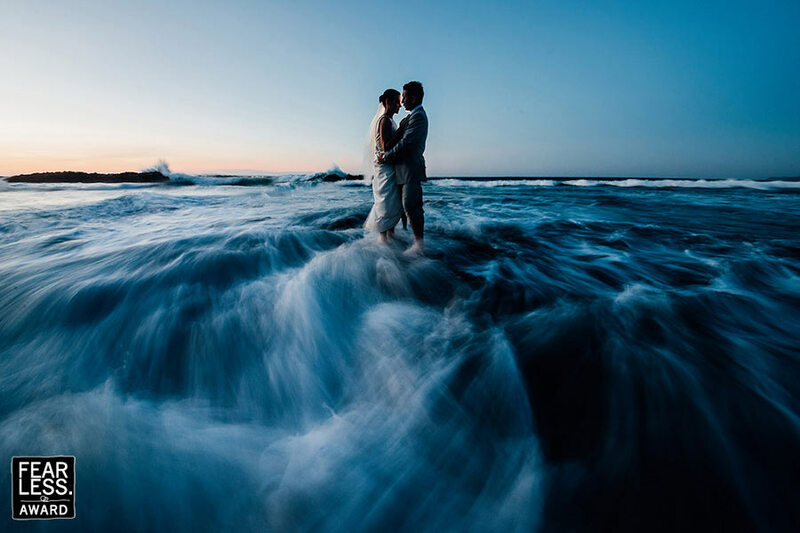 As the swirling blue waters rush around them, the couple clings to each other and stands firmly together in their love. It's a moving and artistic depiction.